When we talk about the concepts of Japanese shame, honor, and duty, one of the first things you might think of is harakiri (suicide by cutting one’s own belly). To Americans, this may seem to be a barbaric, painful, and horrifying act. Today, people in Japan do not commit harakiri; however, shame, honor, and duty still prevail within the society. How did this importance of honor and shame start? followed included: loyalty, courage, humility, forbearance, generosity, and self-control. In the pursuit of these moral principles, samurai maintained their dignity and honor, which was considered to be as much their duty as protecting their Shogun (Japanese feudal lords). If you were samurai and lost your honor, you had only one way to preserve it: harakiri. By killing yourself in such a painful, but at the same time, fearlessly heroic way, you were able to sustain your honor and eradicate shame. Why does shame have to be avoided at all costs? In Japan, relationships between people are greatly affected by duty and obligation. In duty-based relationships, what other people believe or think has a more powerful impact on behavior than what the individual believes. Shame occurs through others’ negative feelings towards you or through your feelings of having failed to live up to your obligations. In contrast, the culture of the United States and most of the West is based on guilt (Benedict, 1946), where truth, justice, and the preservation of individual rights are more important components of consciousness. In western culture, guilt can be relieved through confession, self-righteousness, or the justice system, but in Japanese culture, shame cannot be removed until a person does what society expects, which may include drastic measures such as committing suicide. For example, if you are falsely accused of a crime, your guilt will be removed when you are proven innocent in court, but shame will stay as long as other people are suspicious of your actions or think negatively of you. 1941 shamed many Japanese Americans. It also resulted in intense racism and discrimination against Japanese Americans by some other Americans. 110,000 Japanese and their descendents on the U.S. west coast were imprisoned in internment camps; two thirds of them were American citizens. At first, Japanese American military volunteers were rejected; young men of draft age were classified as “enemy aliens.” In spite of prejudice, young Nisei (second generation Japanese in the U.S.) were eager to fight against Japan. They wanted to remove the shame caused by Pearl Harbor, and they were determined to prove their loyalty to their country, thus bringing honor to their Japanese community in the U.S. The 442nd Infantry Regimental Combat Team, the largest all-Nisei unit in World War II, fought in Italy and Southern France. Their bravery and conviction helped end the war in Europe, and the 442nd became the most decorated military unit of its size and length of service in World War II. One of the ironies was that Japanese Americans were among the first Allied troops to liberate a concentration camp in Germany, while some of them had family members kept in internment camps back in the U.S. (Clinton, 2000). Meanwhile, on mainland Japan, a negative effect was being drawn from the shame/honor tradition: Japanese turned to suicide tactics, the use of kamikaze bombers, to evade the humiliation of defeat. Japanese pilots deliberately attempted to crash their aircrafts onto Allied ships because they believed that surrender was the ultimate dishonorable act. 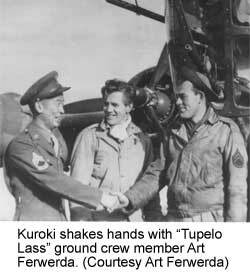 Young men volunteered to be kamikaze pilots in the hopes of showing patriotism and bringing honor to their families. Kamikaze pilots composed and read “death” poems, a custom from the samurai, who had done the same before committing harakiri. Over 60 years have passed since World War II, and Japan has gone through many post-war changes. If you saw many young Japanese today showing their individuality through outrageous fashion and non-conformist behavior or if you watched television programs that bring audiences pleasure by humiliating individuals, you might assume that the shame/honor tradition has been eroded. However, obligations to family, school, employer, and friends still tend to guide most Japanese behavior. For instance, students are encouraged to work hard and enter prestigious colleges with the goal of bringing honor to their families. Television news occasionally broadcasts a president of a bankrupt company weeping and bowing his head in shame as he apologizes for the failure of his company. Japan still remains a culture of shame, honor, and duty. Benedict, R. 1946. The Chrysanthemum and the Sword. Boston: Houghton Mifflin. Clinton, B. June 26, 2000. Remarks on Presenting the Congressional Medal of Honor to Asian-American Heroes of World War II (Transcript).